1. The flow route for this machine is specially designed. The extraction of mud, dirties, and various waste water can be operate efficiently. 2. Impeller adopted specially materials. It is firm as well as grinding-resistant. 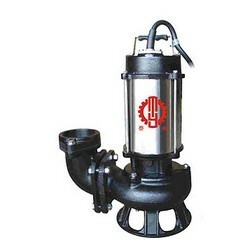 Any kinds of dirties and waste water can be easily delivered and extracted. 3. The motor life is long. its crust is not easy to erode because it is covered with stainless steel. The extraction of water accumulation for the market, the drainage of ranches, pig, pens, and the extraction of dirty & wastewater for the refining and waste water plants. This product can be developed to the maximum.